I was just wondering if flavor flips had fizzled out but today Ben & Jerry's has announced the latest flip and this one will actually be in stores and not just scoop shops. I'm a little surprised they didn't go with a cherry chocolate base to really bring the zing here but maybe this will be more potent than the description implies. 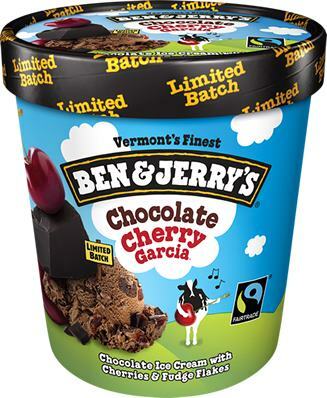 The official B&J flavor page is here and it includes a video if you are interested. 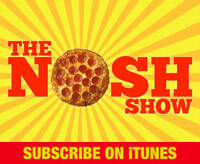 There is no official release date, it just says "soon". 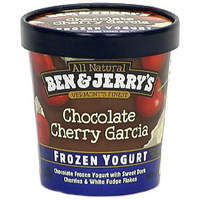 Searching the internet reveals that their was once a Chocolate Cherry Garcia Frozen Yogurt in the late 90s! It was chocolate frozen yogurt with sweet dark cherries & white fudge flakes. Thank you internet for remembering everything.